If you look around the Internet on wedding websites, national and local wedding magazines and leading wedding blogs, a great deal of content is dedicated to real weddings. Effective websites also feature galleries of real weddings. One smart strategy that many wedding professionals neglect is to mention the venue. Example – Donna and Richard at the Marriot Marquis, NYC. Another positive consequence is you may end up ranking for that venue in a Google search. When a bride is looking on your website and you’ve spotlighted “Donna and Richard’s” wedding, the chances are she doesn’t know them but if the venue they got married at is the same as the bride being showcased, that could be reason alone for her to contact you. Showing Images and videos with actual brides using your service or products help the bride envision herself using them. It can foster an emotional connection that can inspire her to contact you and even buy from you. That same logic should be carried over in the sales process. During a meeting with a bride whether it be in person, over the phone or through video conferencing, rapport is very important. It is also important to show the bride you care about her wedding. Naturally communicating the benefits and features of what you offer and why they should hire you is essential. Another very effective tool is sharing third party stories throughout the process. For example if the bride expresses a concern about something sharing an actual story of another bride who had the same concern, how you explained it to her and how delighted she ended up being that she hired you and then offering to let the bride speak to that satisfied customer could be a closing tool on its own. Talking about some of your previous clients as if you are sharing a meaningful memory shows the bride a very positive example of what to expect if she hires you. An added plus is if you can interject impactful stories that involve the ceremony and reception sites of that particular client. 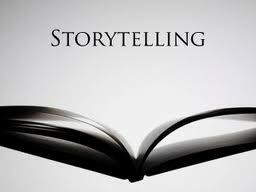 Storytelling makes the sales process far more comfortable and natural for both you and the client. Take a look at your sales pitch; are you using stories and special memories from past clients to win deals and make your potential clients more comfortable? If you aren’t go back through the many events you have done and use those stories to create a new sales pitch.